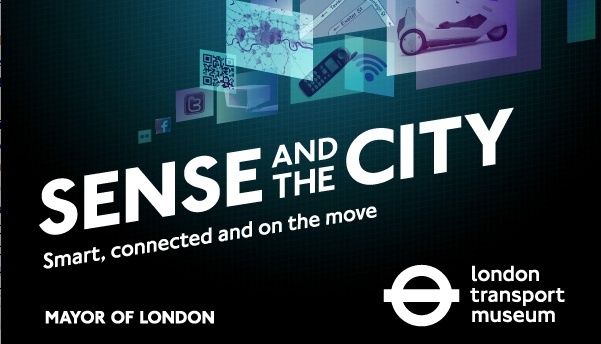 An enjoyable exhibition called Sense and the City is now on at the London Transport Museum, which explores new ways how our understanding, experience and perception of the city is continually re-shaped by the rapid changes occurring in technology and IT. The same categories of space and time are radically put into question as the access and fusibility of information is massively altered and boosted by open data, smartphones, and a blizzard of new apps. It is noteworthy to realise how the unconstrained use of these devices make us think of the city, of its vastness and complexity, in a totally different way. It seems we can cover the city, physically and imaginatively, much easier and faster than before. However, the abundance and redundancy of data produced and incessantly consumed, add intricacy and diverse levels of meaning to our vision of the city. A distinguishing feature underpinning any present project or prototype for future research – as the ones presented by the Royal College of Art – is the restless attention on every consumer’s feeling and perception of the environment which has to be shared and fall in the public domain. The only risk is to accumulate data over data just for the sake of it, and the question is whether out of this over-exposure to information and stimulus we’ll ever find a substantial thread.